AmeriTitle, one of the largest independent title and escrow companies in the Pacific Northwest, supports the communities where our employees live and work. Proud be to celebrating 18 years in Central Oregon, providing the widest selection, highest quality and most eclectic selection of rugs. 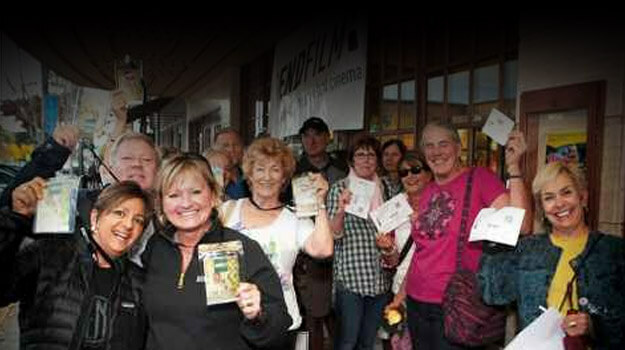 Join AIFF each spring in Ashland for over 5 days of 100+ films and events. We deliver brands and non-profit organizations to the world, telling their unique story. We don’t believe in a single solution for every project. We develop logical, intuitive plans and systems that are unique to our clients and their specific goals and challenges. We speak many languages – digital, print, social – and we love solutions that don’t fit nicely into any of those boxes. Located in the historic Liberty Theater (and home to the BendFilm Hub,) At Liberty Arts Collaborative is Bend’s newest contemporary gallery, community gathering space, and event venue. It is dedicated to the idea of exploration of arts and culture without restraint. BendBroadband is nationally recognized as a leader in the cable industry due to our progressiveness with technology. In fact, we were the first company to provide high-speed Internet service in Oregon, back in 1997—providing a draw to Central Oregon for telecommuters seeking work-life balance. We have a long list of firsts for the introduction of new technology in Oregon cities, small or large. In addition to residential service, we provide a full array of products to businesses in the region, including Internet, fiber connectivity, phone, video and advertising services through our sister company Zolo Media. Central Oregon—on a new level. Built on decades of expertise in what makes this region one of the world’s best places, Bend Magazine delves into the soul of Central Oregon, building stories around the area’s stunning environs, fascinating people and distinct mountain culture for those thirsting to explore it. The time is always right for a beverage or snack from Bigfoot Beverages and Food Services. Intertwined with the history of Bend itself, Brooks Resources has been part of the community since the very beginning. Brooks Resources is one of Central Oregon’s oldest and most respected real estate companies, committed to smart growth development, preservation of the natural environment and supporting the arts in our community. We’re your attorneys — and your neighbors. For over 100 years, we’ve supported our community as board members, sponsors and contributors. Giving back is at the core of our firm culture. A catalyst for the transformation of underserved youth through innovative year-round art and environmental programs. A family business owned by Pamela Hulse-Andrews and Jeff Martin is the parent company of Cascade Business News, Central Oregon’s primary source for local business news, Book of Lists with nearly 100 different industry lists updated daily and Cascade A&E, a monthly magazine dedicated to art, music, shopping, dining, film and theatre capturing the pulse of art and culture in Central Oregon.CPI publishes several annual periodicals including Sunriver Visitors Guide, CO Wedding Guide, Pacific Crest Guide and local sports guides. Cascades Theatrical Company has been entertaining audiences since 1978. Our mission at CTC is to provide quality live theatre to all. We are a membership organization, where all aspects of our productions, on and offstage, are created by volunteers. Join us as we celebrate our 40th season! Commute Options asks you to bike, walk, carpool, telework and ride the bus. Exceptional real estate services for Buyers & Sellers since 1998. Come live The Bend Experience – Live Well, Play Hard, Dream Big! An authentic neighborhood joint serving up creative and inspired comfort food in downtown Bend, OR. We are reinventing American classics with a modern, fresh flair. To facilitate and exchange of creativity and empowerment. Importing fine wines from Argentina, Chile, Uruguay, and Baja California, Mexico. The G5 DXM Platform enables owners and operators of Multifamily, Self Storage, Senior Living, and Student Housing properties to deliver exceptional experiences at every digital touchpoint. Craft filmmaking in the Pacific Northwest. Greystone Hotels, an independently owned hotel and hospitality management company, focuses on providing an exceptional guest experience at its collection of hotels throughout California and Oregon. Our mission is to offer great value, thoughtful amenities, and a comfortable, relaxing environment at all (11) of our hotels. At Hand in Hand productions we specialize in working with you on your events and media production projects. We strive for excellence and make sure that you are getting the highest quality product our team can deliver. We pride ourselves in saying yes and delivering to those standards. Our client list has included everyone from Nike to Facebook and everyone in between. We can handle a complete event from the beginning stages of concepting of video all the way through the execution. I treat people as I would want to be treated if I were the patient. Central Oregon’s leader in luxury home technology. Home theaters, whole-house audio and state-of-the-art smart home automation. Horizon Broadcasting Group, LLC was founded in 1999 to acquire and operate radio stations in small and mid-sized markets. Horizon Broadcasting Group presently owns or operates six radio stations and a community web portal –www.mycentraloregon.com – in Central Oregon (serving the principal communities of Bend, Redmond and Prineville). HBG is focused on serving the communities in which it does business by providing quality, local programming for listeners and developing meaningful marketing campaigns that assist our advertising customers in growing their business. Located in Bend, Oregon, Hydro Flask is the leader in high-performance, insulated beverage and food containers. Every product features TempShield™ double wall vacuum insulation to keep beverages at the desired temperature, 18/8 pro-grade stainless steel, a durable powder coat, and ergonomic design for all-day carrying comfort and transport. Hydro Flasks giving program, Parks for All, supports the development and maintenance of public green spaces so people everywhere can live healthier, happier and more fulfilled lives. We specialize in Bladeless Custom LASIK, advanced cataract surgical techniques, and facial enhancements as well as comprehensive eye care all with a warm, personal approach. Creating beautiful spaces that serve your lifestyle. The Old St. Francis School, in downtown Bend, was transformed from a 1936 Catholic schoolhouse into a hotel, pub, brewery, movie theater, live music venue, and a fantastic soaking pool that beckons day travelers, shoppers, hikers, skiers and outdoor adventurers alike. Minuteman Press of Bend – Commercial Printer. A family-friendly, 9-hole public course, featuring brooks, ponds, and beautiful mountain views. The Old Mill District is located on the gorgeous Deschutes River – offering stunning views of the river and Cascade Mountains while shopping, dining or walking on the river trail. The largest nonprofit association for commercial, film and TV professionals in Oregon, uniting crew, talent agencies, producers, directors and others who cater to the industry. Inspired by the cosmopolitan mountain town we call home, The Oxford Hotel in Bend, OR, is a welcome respite from your outdoor adventures. As the only boutique Bend, Oregon, we offer amenities and luxuries you simply won’t find anywhere else in town. At SGA, we are a team of modern advisors with a collaborative strategy focused on sustainable business growth and wealth building. Founded in 1989, SGA CPAs & Consultants provides accounting, tax audit and consulting services to privately held businesses and high net worth individuals in a variety of industries. Let us show you how to use creative web design, along with disciplined web marketing principles, to deliver more meaningful results. Be the first to know what’s going on in Central Oregon. Keep up to date with news, events, giveaways and, of course, our special issues. Local independent movie theater at 869 NW Tin Pan Alley, Bend Oregon. The nonprofit Tower Theatre Foundation owns and operates the historic venue in downtown Bend, presenting a diverse range of concerts, movies, musicals, comedy, drama and dance. Fully renovated in 2004, the Art Deco Moderne venue remains Central Oregon’s premier stage – a hub for culture, connections and artistic experiences! The Bend City Council created, empowered and funded Visit Bend (formerly the Bend Visitor & Convention Bureau) to develop and build Bend’s tourism industry. 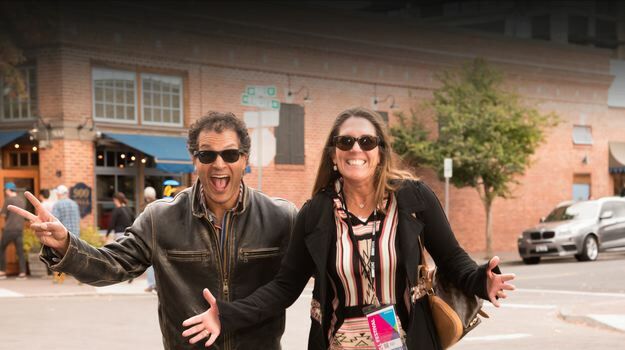 Visit Bend is an economic development organization whose primary function is to create an effective mix of marketing, sales, and service programs, which are designed to produce a positive economic impact of visitor and convention spending in Bend. Committed to enhancing Central Oregon’s cultural environment by providing a unique artistic venue and making an essential contribution to the High Desert community. We’re seriously serious about quality around here. We carry natural and organic products because we believe that food in its purest state simply tastes best. Zolo is Television in Central Oregon…on-air, on-line & on-the-go. We are KOHD, ABC for Central Oregon and KBNZ, Central Oregon’s CBS. We are local programming on myWindow, COTV & CO4 Visitors Network . We are storytellers… of all that matters to Central Oregonians.